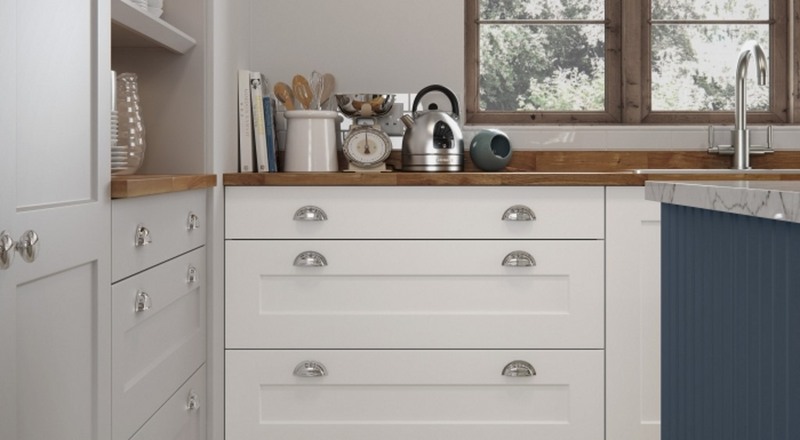 The Hartside has a smooth finish to the traditional shaker door style. 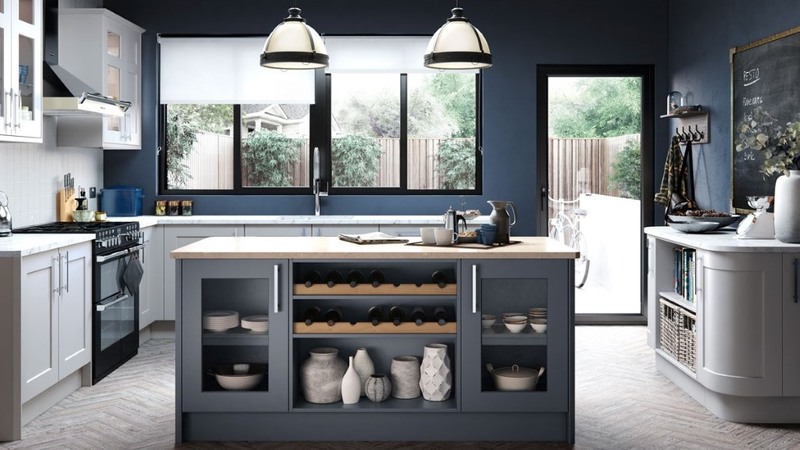 Available here in alpine white or light grey, it is also available in 28 painted colours giving this shaker kitchen range great versatility. Click here to see the hartside painted options. 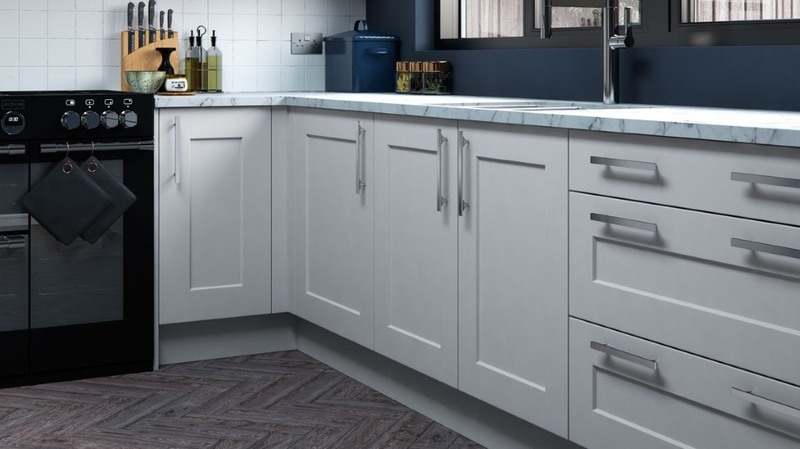 With a crisp clean look the Hartside alpine white bears the traditions of the shaker design yet remains fully versatile enable you to contrast with other colours throughout the kitchen. 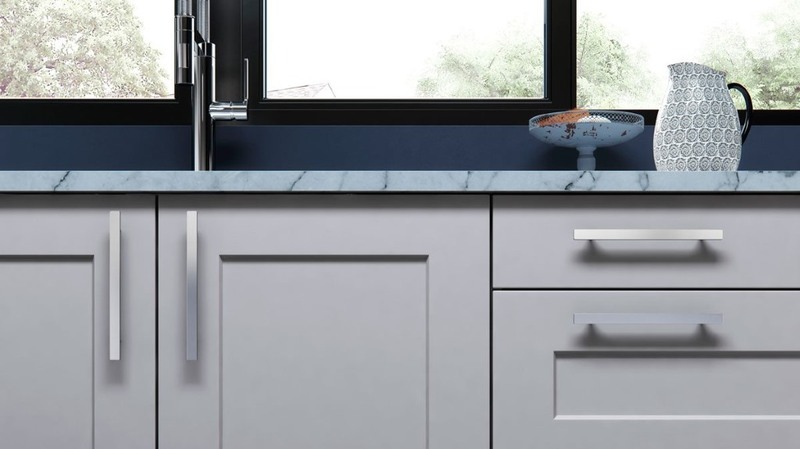 With a slightly darker finish the Hartside light grey presents a very modern looking version of the classic shaker kitchen door. It looks great when mixed with other colours from the painted options as shown in the first image.